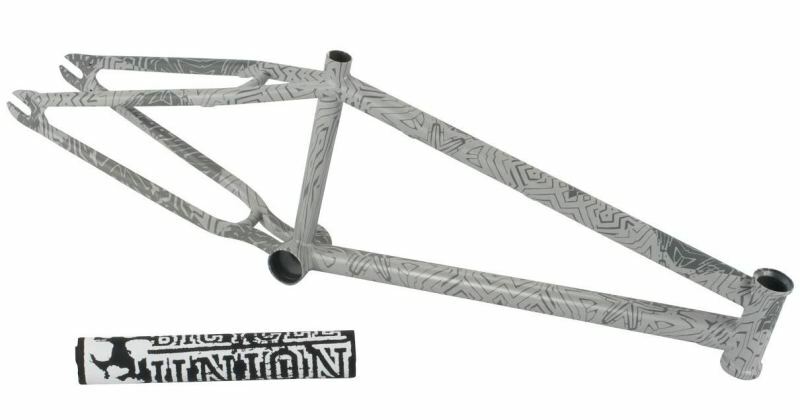 United have teamed up with OG Hastings local, turned world renowned tattoo artist, Thomas Hooper to bring a you a limited edition frame wrap graphic on our United Prime Mover frame. The Prime Mover frame is built tough and sturdy to suit any kind of riding whether its trails, park or street. Includes a black and white top tube pad.